« Once again, what’s wrong with “everything happens for a reason”? In today’s scripture, Jesus asks Peter, “Do you love me more than these?” It’s an ambiguous question. The word “these” could refer to one of three things. 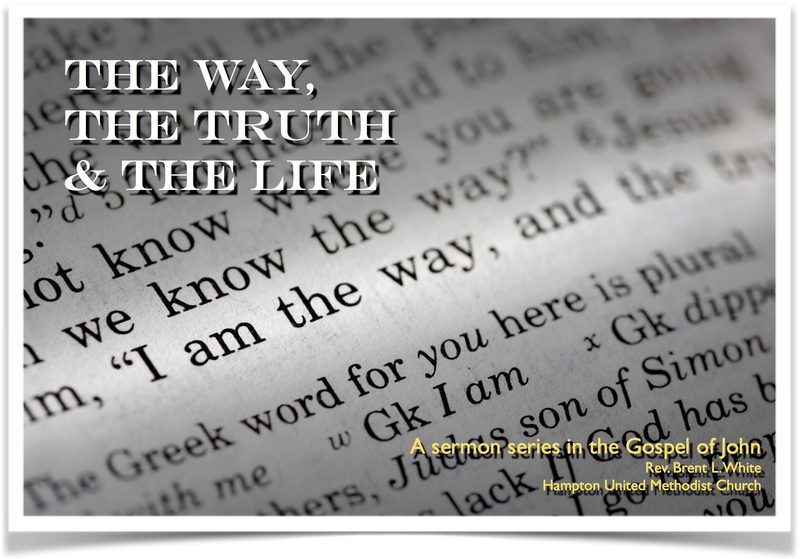 In this sermon, I explore each meaning. I also show how this question could apply to our own lives. And what happened? Spieth bogeyed on 10. Then he bogeyed on 11. Not good, especially as his nearest competitor, Englishman Danny Willett, birdied a couple of holes in a row. Spieth was now only up by one shot, but there was still no cause for alarm. Until hole No. 12 happened… He hit two consecutive, ugly shots into Rae’s Creek and a third into a sand trap. And he finished the hole four over par—literally the worst he’s ever done in a tournament on a par-3 hole. He was now trailing Willett by three strokes. At that moment, Jordan Spieth knew what everyone in Augusta knew—what everyone watching around the world knew: He choked. After finishing the hole, he told his caddie—in the understatement of the century—“It seems like we’re collapsing.” It was, in fact, one of the worst meltdowns in PGA history. I’m not judging Spieth too harshly. I can hardly bowl without suffering a major meltdown. 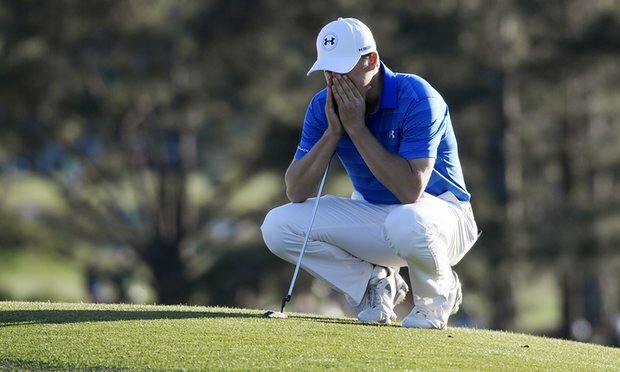 And if it makes you feel better, Spieth tied for second and took home a cool $880,000. Not that it’s not about the money at that point: It’s about his pride. It’s about his self-respect. It’s about his reputation. Regardless, Spieth couldn’t have handled the loss with more grace. He’ll be just fine, I’m sure. That’s very nearly what Peter did during the Last Supper. 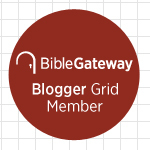 Jesus predicts that all the disciples will abandon him after he gets arrested. And Peter said, “I’m ready to go with yo both to prison and death.” “I will lay down my life for you.” “Even though they all fall away”—referring to his fellow disciples—“I will not.” And of course he ends up denying three times that he even knew Jesus. The gospels tell us that he was so emphatic on his third denial that he even “called down curses and swore”—which means, he literally cussed. Whereas Jordan Spieth suffered one of the worst meltdowns in PGA history, Peter suffered one of the worst meltdowns in world history—when you consider how high the stakes were. The name “Peter,” remember, is a nickname that Jesus gave to Simon son of John when he first met him. It means “Rock,” which obviously is meant yo convey strength, power… invincibility… steadiness. Except Peter, when he’s put to the test, demonstrates that he’s anything but a rock; he’s about as squishy as Jell-O. So what’s Jesus going to do about Peter’s meltdown now that he’s been resurrected? Will he just ignore it? Not at all. Jesus is going to remind Peter of his meltdown; he’s going to make him painfully aware of it. Why does Jesus put Peter through this? It’s not because he’s trying to make Peter feel guilty. Peter already feels guilty! So why? Is Jesus sticking a knife in and twisting? Is he deliberately trying to hurt him? Well… maybe that’s exactly what Jesus is doing, except… the knife Jesus uses isn’t the knife of a robber, a criminal, a murderer… It’s the knife of a surgeon. Think about it: A surgeon literally wounds a patient—temporarily, at least—in order to heal a patient. In the same way, we should expect our heavenly Father to do the same for us, his children—not because he doesn’t love us but because he does! Does that sound cruel? Only if we misunderstand God’s love. See, we often mistake love for tolerance. If God loves us, he’ll let us do what we want. He’ll overlook our sin. He’ll say, “I love you just the way you are. Please don’t ever change!” But that’s not love; it’s indifference. 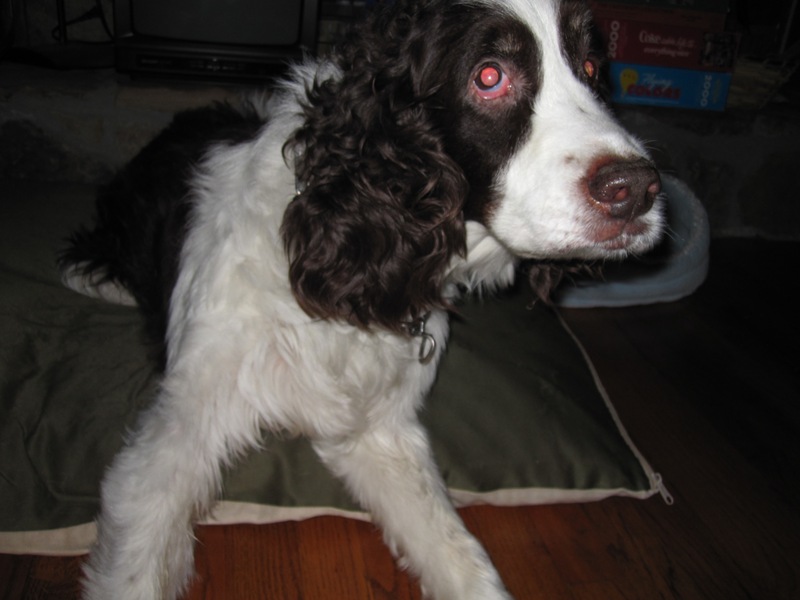 Many years ago, before kids, Lisa and I adopted a wonderful English springer spaniel that we named Presley. But he was our first dog, and we didn’t own Presley very long before we realized we were in over our heads and needed professional help. So we took Presley to obedience training. The trainer’s name was Mark. His dogs had won international awards in obedience competitions. He and his dogs had been featured on TV. We told him that despite our best efforts, Presley routinely ignored the command to “come.” We would say “come” and the dog would run the other way. Lots of people in the class were having the same problem with this command. What could we do about that? And we were all like, “Mark, isn’t that cruel?” He said, “Maybe it seems that way. But you know what’s even more cruel? When you let your dog run out onto a busy highway and get hit by a car. That’s the cruelest thing of all.” We got his point. Sometimes pain is good and necessary. It can be the best teacher. And Jesus knows this. He’s helping Peter relive a painful memory to teach him about sin, about repentance, and about grace. And he begins in verse 15 by addressing Peter, not by the nickname he gave him when he first met him back in John chapter 1—the “Rock”—but instead by his real name: “Simon, son of John.” He hasn’t called him that in three years. Why does he do it here? And you might say, Oh, oh, I know! It’s because Peter’s denial has proven to Jesus that Peter’s not really worthy of the name “Rock.” He’s soft and squishy like Jell-O, remember? Now, if he wants to redeem himself and earn back that name, well… that’s fine. But he’s going to have to prove to Jesus that he’s capable of being a “rock” again. Isn’t that what Jesus means by calling him Simon, son of John? I don’t think so. Jesus knew when he named him Rock in the first place that Peter would fail, time and time again, to be a rock. And he knew in advance that Peter would deny him three times. After all, he predicted it. Maybe, like Peter, some of you are struggling with feelings of guilt—over your past, your failures, your sin. Over the ways you’ve hurt others. Over stuff in your past that you can’t change however much you may want to. Some guilt can be good, inasmuch as it motivates us to confess our sins, to repent, to change. We learn from our mistakes, we make amends, if possible, and we move on. But there’s a bad kind of guilt that just lingers with us. Jesus wants to heal that kind of guilt—in the same way he wanted to heal Peter’s guilt. There’s now nothing standing in the way of you and me being in a right relationship with God, of being saved, of having eternal life, of living with the assurance of knowing that nothing, not even our own death, can separate us from the love of our heavenly Father! All that to say, I believe that Jesus calls Peter “Simon son of John” not because he’s disappointed that “Rocky” failed to live up to his name, but because it’s time to start over. It’s time to begin again. It’s time for a second chance or maybe even a 202nd chance—or, heck, maybe a two-thousand and second chance! What’s in the past is in the past. Jesus doesn’t say, “Simon son of John do you love me? Well, then why did you deny me and disappoint me and fail me so badly?” That’s probably what Peter’s own conscience was asking him… But not Jesus! And I’m sitting there, looking around this class of about 30 or 40 students—and I’m sure I’m not the only Christian in the room. But no one said anything. No one raised their hand. No one spoke up. And I would like to say that I spoke up and boldly defended the faith… “I believe in the resurrection, Dr. Johnson, and here’s why.” But please! I felt too much pressure to not say anything! Not because, like Peter in the high priest’s courtyard, I imagined my life was at stake. As if! No… I didn’t speak up because I didn’t want other people to think I was some kind of hick from the sticks. I wanted people to like and respect me. I wanted people to have a high opinion of me, to think I was smart. Now suppose Jesus asked me in that moment, “Brent, son of Alton, do you love me more than these other people” what would my answer be? The second possible interpretation of Jesus’ question is, “Do you love me more than you love these things related to your occupation”—“Do you love me more than you love to fish? More than you love your boat, more than you love your your nets, more than you love the money and status that these things bring you.” In which case, Peter might have thought of the rich young ruler, whose love of wealth and status were preventing him from surrendering his life to Christ. I mentioned golf earlier… It’s always so refreshing to hear a golfer like Bubba Watson—who has won the Masters twice himself—say that golf isn’t the most important thing to him. His relationship with Christ is. We should all have that same attitude. Of course, at this point Peter couldn’t say that he loved Jesus more than all these other disciples. Aside from Judas himself, Peter failed Jesus most of all. But I love this insight from theologian R.C. Sproul: He said that from here on out—for the rest of his life—Peter would be able to say that he loved Jesus more than the other disciples loved Jesus. Why do I say that? And Jesus goes on to say, in so many words, “Those who’ve been forgiven much, love much” and “those who’ve been forgiven little, love little.” Which one is Peter? His sins were worse than the other disciples. And now that Jesus has forgiven him this larger debt, he’s going to love Jesus more. And his life is going to prove how much he loves Jesus: thirty years later, this same man, who was at one time so afraid for his life that he denied knowing Jesus, will proclaim Jesus so boldly that he’ll be crucified by the Roman emperor Nero. And in verse 18 Jesus tells him now that this is going to happen. So he lives the rest of his life with a death sentence hanging over his head, not knowing when it’s going to happen. Anyway, one thing that was so shocking is that his death was so unexpected. He had just played a show in Atlanta last week—and by all accounts, it was a great show! And now he’s gone. Jesus implies in today’s scripture that each one of us has an appointment with death—chosen by God. Like Peter—and Prince—none of us knows when it is. God knows; we don’t. And God wants each one of us to glorify him through our death—no matter what kind of death it is. How do we do that? By being ready for it when it does come. By facing it with confidence and hope—not fear and despair. By believing and knowing deep in our hearts that the resurrection of Jesus Christ has removed the sting of death, for those of us who believe in Jesus, so that we can view it not as the end, but as nothing less than the entrance to a new and better kind of life than we have ever known. Do you believe that? Will you be ready when that time comes? Are living now in a way that will get you ready? Do you love Jesus enough to live that way? This entry was posted on	May 4, 2016 at 7:54 am	and is filed under Uncategorized.